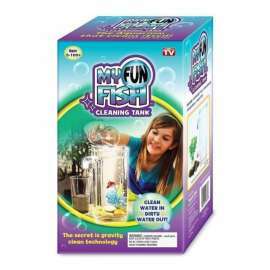 My fun fish is a revolutionary fish tank that uses gravity to clean itself. You simply pour water into it, and the older water pours out of the spout through a hose at the bottom of the tank. 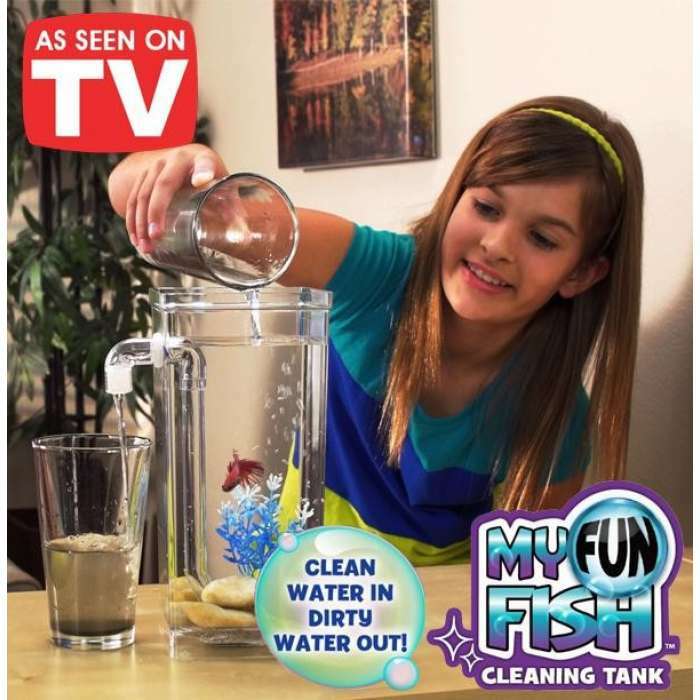 This method of cleaning makes cleaning up after your fish very easy for children – and adults who are short on time. 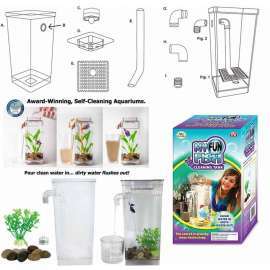 It’s ideal for one guppy, goldfish, neon tetra, or a beta fish.